As part of our At Home Skin Care Regimes series, I have listed below some products that are suitable for All Skin Types. You don’t have to use all of the products from the list but the minimum required would be a Cleanser and a Moisturiser. A suitable cleanser for a normal skin type is the Dermalogica Special Cleansing Gel. This is an easy to use cleanser which you mix with water to form a light foam. This foam should then be massaged all over face and neck for approximately one minute then rinsed with water until thoroughly removed. Use each morning and evening. One of Dermalogica’s hero products is Dermalogica Daily Microfoliant. which has a unique powder texture. Wet your hands first, then pour about a ten pence piece sized amount into one hand and add a small amount of water and mix into a paste. The paste should then be massaged over the whole face and neck quite vigorously for approximately 1 minute, taking care around the eyes area. Rinse thoroughly with water. The most important thing with Dermalogica Daily Microfoliant is to use it every day due it’s cumulative effect – the more you use it the better the results will be. Use each morning or evening after cleansing. One of my favourite masques is the Dermalogica Multivitamin Power Recovery Masque (we call it an ambulance in a tube). It is brilliant for all skin types and it’s so easy to use!! It has a lovely rich and creamy texture and can be used all over the face, neck and even around the entire eye area. Ideally use after exfoliating and leave on for as long as possible – the longer the better. You can even use as an overnight treatment by applying 1-2 hours before going to bed then simply leave on for the whole night (you might want to put an old pillowcase on as it may come off on your bedding but is easily washed off). Your skin will look and feel amazing in the morning so it’s great for a special occasion. 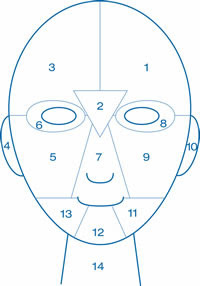 Simply apply it to all areas of the face and neck taking care around the eye area. Leave it on for as long as possible and then simply rinse with warm water. Use once or twice a week, probably in the evening after cleansing and/or exfoliating. I would recommend the Dermalogica Multi-Active Toner for a normal skin type. You would use after cleansing by spritzing over the whole face and neck with 4-5 pumps. You may feel a slight tingle and it will feel wonderfully refreshing. Don’t forget you can use the toner throughout the day over make-up if your skin feels tight, dehydrated or just to cool you down. A fantastic booster to use alongside your core skin care products would be Dermalogica Skin Renewal Booster. Use morning and evening after the Dermalogica Multi-Active Toner. Dispense 8-10 drops into the palm of one hand then gently massage between both hands to warm the serum which will activate the ingredients. Then press into the skin all over face and neck taking care around the eyes. Use each morning and evening after toning. It is very important to use a separate eye product and the one I would recommend for all skin types is the Dermalogica Total Eye Care SPF 15. Apply just in the morning after Dermalogica Skin Renewal Booster just underneath the eye and around to the side of the eye ears to help with any crow’s feet. Use each morning after toning/booster. A great moisturiser for all skin type is Dermalogica Active Moist which has a lovely light weight texture, absorbs very quickly and is perfect to use under make-up. Massage a five pence piece sized amount all over your face and neck. Use each morning and evening after applying the eye cream. What is a good Skin Care Regime?